New York: A South India sensation, a Hispanic-focused comedy and the highest-grossing film ever directed by an African American made up the top three films in North America on a culturally diverse box office weekend. As expected, it was another runaway weekend for ‘The Fate of the Furious,’ which took No. 1 for the third straight week with $19.4 million, according to studio estimates Sunday. The Universal Pictures release also throttled past $1 billion globally, and passed its predecessor, ‘Furious 7,’ to become the highest-grossing imported film in China with $361 million. The ‘Fast and the Furious’ franchise, the latest of which is helmed by F. Gary Gray, has always been held up as a model of the diverse blockbuster, given its cast led by Vin Diesel and Dwayne Johnson. But the smaller films that trailed it over the weekend also reflected the box-office might of often underserved audiences. In second domestically with $12 million and drawing an overwhelmingly Hispanic crowd was Eugenio Derbez’s comedy, ‘How to Be a Latin Lover.’ The film is easily the biggest success yet for Pantelion, the Latino-oriented joint venture of Lionsgate and Grupo Televisa. ‘How to Be a Latin Lover’ co-stars Salma Hayek, Rob Lowe and Kristen Bell. But its top draw is Derbez, whose ‘Instructions Not Included’ was the highest-grossing Spanish-language film in North America in 2013. The audience for ‘How to be a Latin Lover’ was 89 percent Hispanic. ‘Baahubali 2’ even bested a pair of Hollywood’s biggest stars in Emma Watson and Tom Hanks. Their terribly reviewed thriller ‘The Circle,’ distributed by STX Films on behalf of EuropaCorp, opened with $9.3 million. 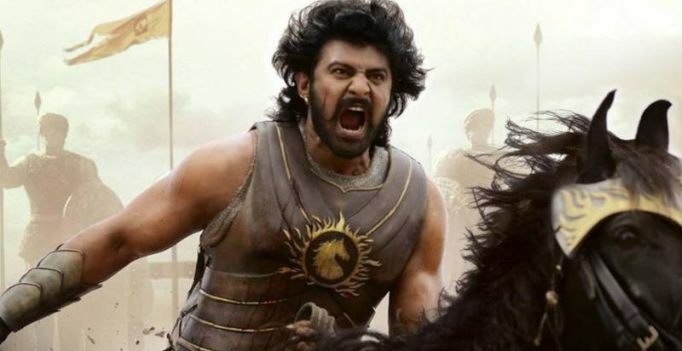 ‘Baahubali 2’ follows the 2015 original that set box-office records in India, a breakthrough for a non-Hindi film. The 2015 film grossed $9.3 million in the U.S. and more than $100 million worldwide. With $1.8 million on domestic IMAX screens, a record for a foreign language film on IMAX, ‘Baahubali 2’ may break more records. The summer movie season begins next week with ‘Guardians of the Galaxy Vol. 2.’ With the Marvel behemoth on deck, few new films were released in an otherwise quiet weekend. Disney’s ‘Guardians of the Galaxy’ sequel began its international rollout over the weekend, opening in 37 territories ahead of its North American debut. It earned an estimated $101.2 million, a promising start for what’s expected to be one of the summer’s biggest hits. ‘Guardians’ will likely be the third $1 billion movie in 2017, following ‘Beauty and the Beast’ and ‘The Fate of the Furious.’ Disney said ‘Vol. 2’ is running 57 percent ahead of the pace of the original, which made $773.3 million in 2014. 1. ‘The Fate of the Furious,’ $19.4 million ($68.4 million international). 2. ‘How to Be a Latin Lover,’ $12 million. 3. ‘Baahubali 2: The Conclusion,’ $10.1 million ($3.7 million international). 4. ‘The Circle,’ $9.3 million. 5. ‘The Boss Baby,’ $9.1 million ($15.5 million international). 6. ‘Beauty and the Beast,’ $6.4 million ($17.2 million international). 7. ‘Going in Style,’ $3.6 million ($3 million international). 8. ‘Smurfs: The Lost Village,’ $3.3 million ($11.7 million international). 2. ‘The Fate of the Furious,’ $68.4 million. 3. ‘Shock Wave,’ $24.2 million. 4. ‘Battle of Memories,’ $21.8 million. 5. ‘Beauty and the Beast,’ $17.2 million. 6. ‘The Boss Baby,’ $15.5 million. 7. ‘Love Off the Cuff,’ $13.7 million. 8. ‘This Is Not What I Expected,’ $12.3 million. 9. ‘Smurfs: The Lost Village,’ $11.7 million. 10. ‘The Mayor,’ $5 million.